Hardened Glass Feeder Bottle with a No-Drip Base. Features a Shatter-proof No-Drip feeder base. New Feeding Port Flowers with Bee Guards. Full-circle perch to gather more hummers. 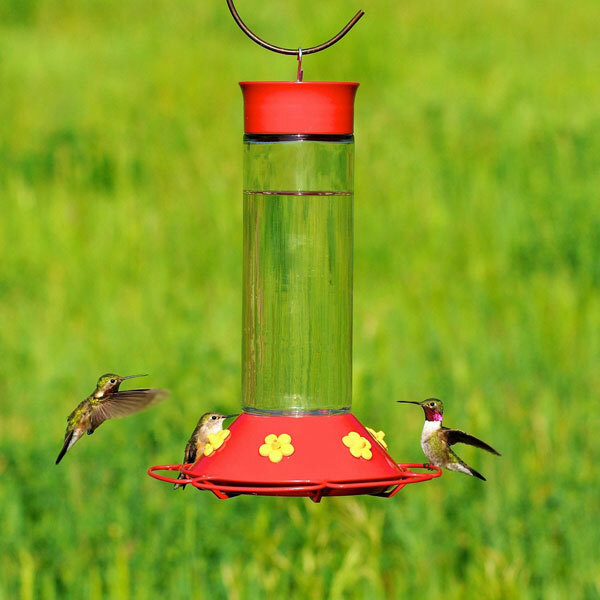 Designed for years of enjoyment for the serious hummingbird feeder.